before completely hijacking the other thread, I thought I'd post the follow-up in a separate one. Many thanks already to maxx and zebulon who helped me out a lot! The fuse that was blown says T1AL250V which I suppose stands for 1A slow blowing at 250V. So I've ordered some of those, but when I plug the amp, it blows instantly. Could that be the reason the fuse blows? 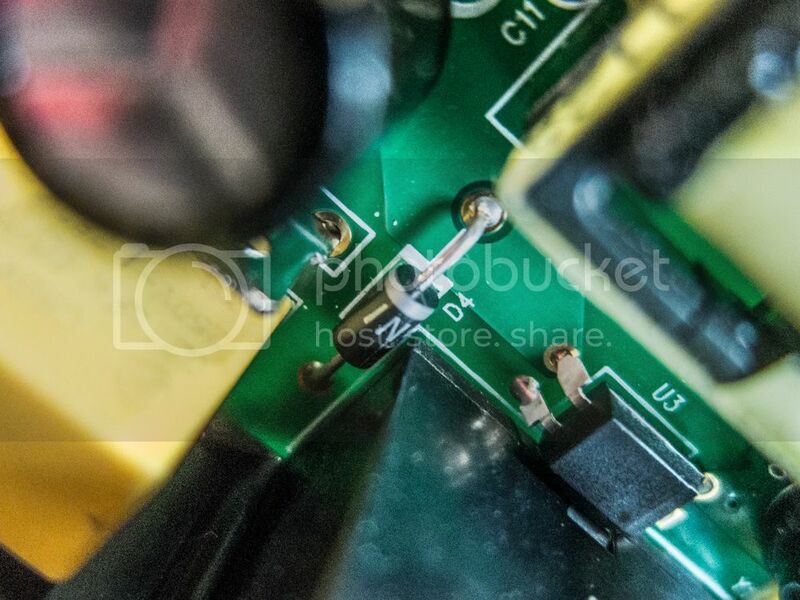 And if so, can anyone decrypt which kind of resistor those are so I can replace them? As you can probably tell freezy, that resistor has been cooked! Looks like a 100 ohm resistor if I am right with the colors of brown, black, brown. Might be something further upstream that caused the resistor to blow. Thanks for the feedback, guys. 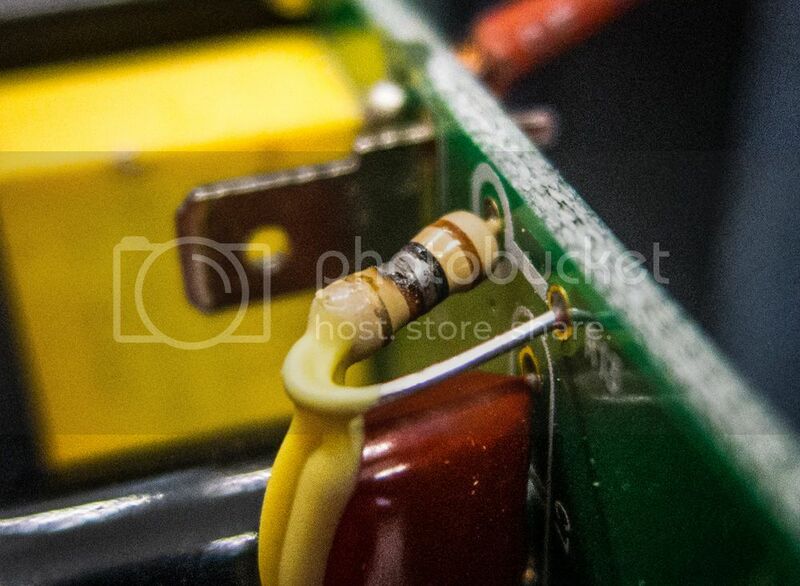 Firstly I was confused by the silver ring, but when looking closely that's the resistor behind the plastic layer, which was originally indeed brown / black / brown / gold, which stands indeed for 100ohm. The gold ring means +-5% tolerance, right? I found this, however it says only 1% tolerance. Is that a problem? Yup, swap out that resistor and the other one (R30, probably a similar value). As well, replace Q1 (the transistor). It's going to be something along the lines of a 2n3906 or 2n3904 (depending on how they ran the circuit, tough to see). I'd also look for a diode somewhere that has blown. If all that fails, I'd bet the transformer is cooked. Gold bands are 5%, silver are 10% (I believe, would have to double check). I wouldn't worry about the tolerances for now. Get it working first and then fine tune if necessary. So the tolerance doesn't affect the functionality? 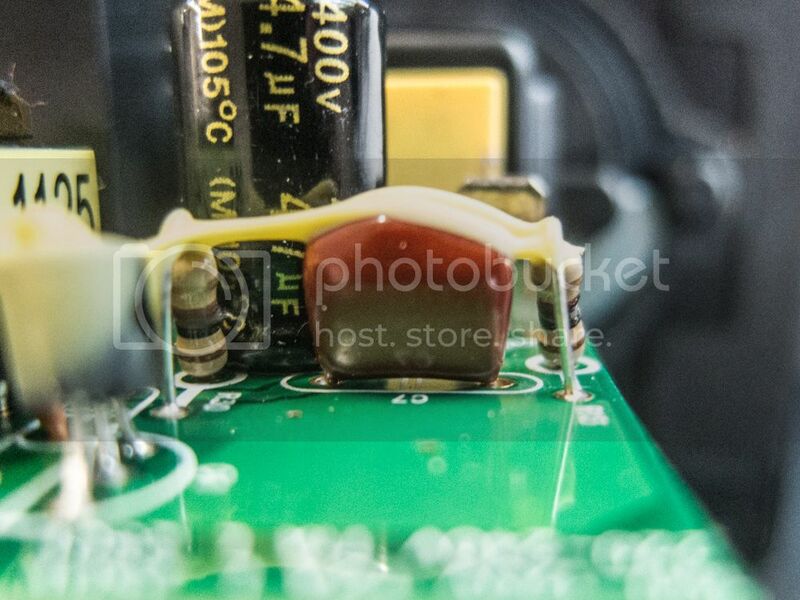 Do you need an image from a different angle in order to determine which transistor is used? Also I have no idea how to solder the transistor, this one looks quite different than the one on the board. About the diode, this one is the only one I could find and it looks quite okay, right? high tolerance ones like 0.5% and 1% r normally used in adc's and other high accuracy systems low tolerance are normally used for pull up/down resistors or for leds or somin, basically where you really dont care if its exactly the value its ment to be. Thanks, russ! So should I try replacing the resistors already or do you guys think that the transistor that is between is definitely cooked too? Oh right, I overread zebulon's remark about Q1. Are transistors usually labeled? Should I scratch off the yellow stuff that is glued on top and see if I can get more info about which transistor it is exactly? Yeah scratch it off freezy to see what the code is. Then I'm kind of screwed, right? Does that speak to anybody? LMAO...you know, I just realized what we're going through all of this for. Freezy, do you know what the voltage output of this power supply was? You could most likely just replace it with a wall wart and be back up and running. It's most likely that it was in the 12v-18v range. 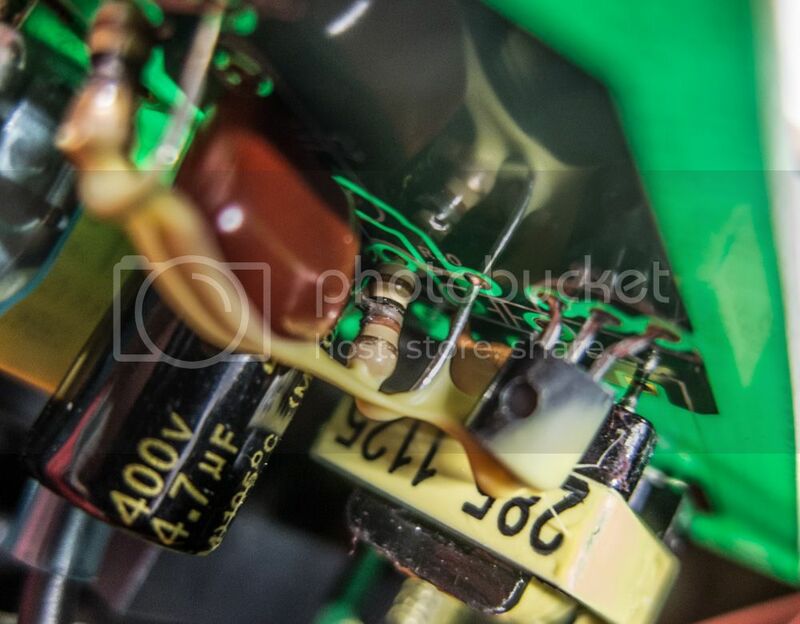 Offhand I'd say that the red and black wires coming off the board are your power feeds for the amp. 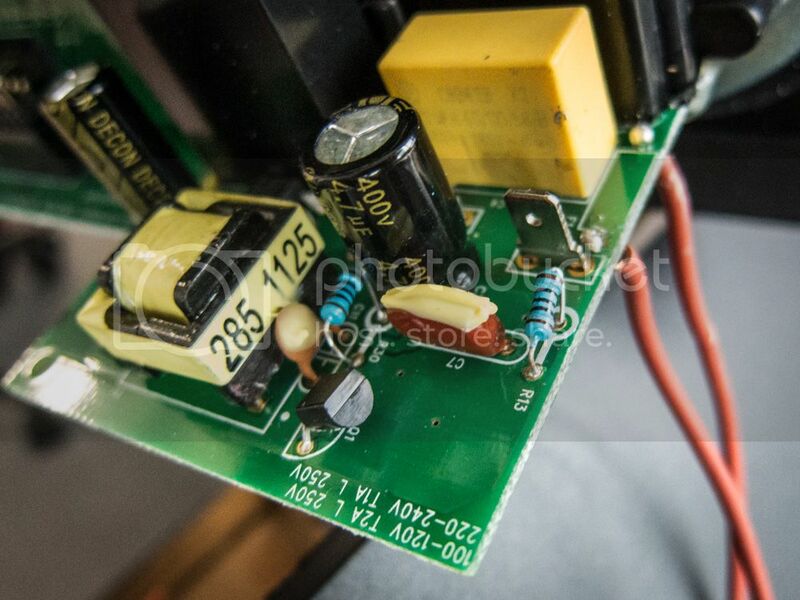 If you ran a ground to the black and left it connected to the circuit board and disconnected the red from the board and connected it to a power supply you would be bypassing the onboard power supply. If you could get the amp powered up that way, I'd just remove the transformer and burnt components from the board to eliminate any possible interference/feedback of voltage and connect the power supply to those wires and plug the red back into the board. 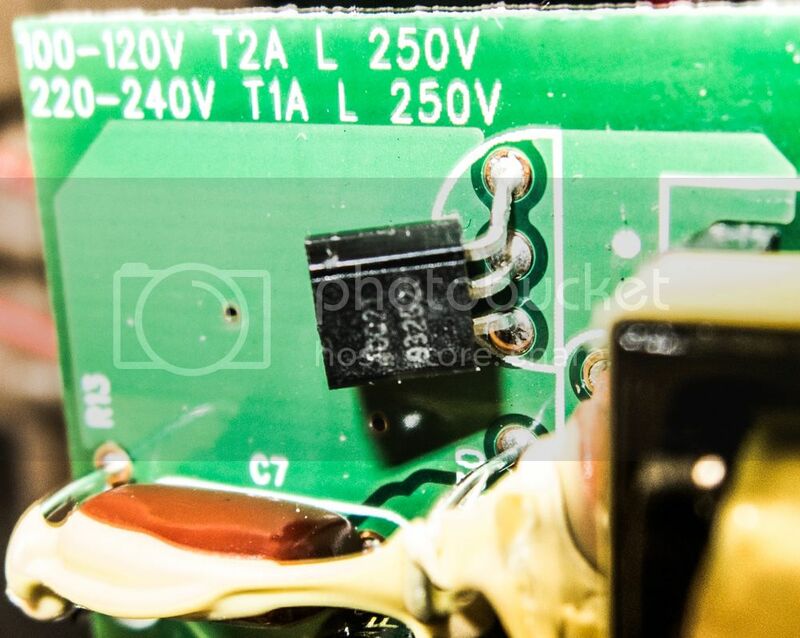 Basically, you strip the old supply hardware out of the board and connect at the output terminals of the old amp. As long as everything else is removed, there's nothing left to short to. To be honest I don't feel too confident about this solution. Normally if pros like you guys start guessing I'm already completely lost. Additionally I don't have any of those components lying around, so every time something burns I need to order it somewhere with shipping costs and delays involved. Resistors finally arrived. However they look completely symmetrical. 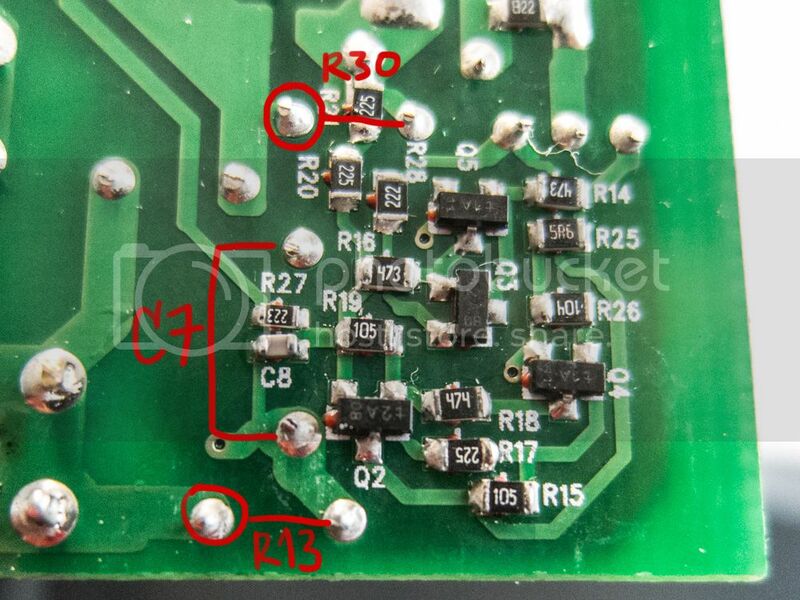 Is the orientation important at all when soldering into the PCB? However, the fuse still blows as soon as I plug the amp. Any idea why? Could it be my amateur soldering of the fuse? 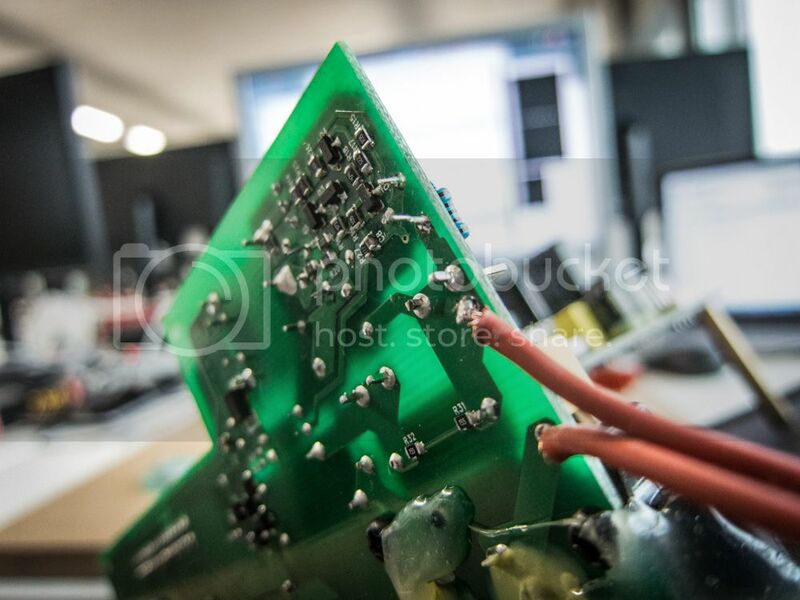 Or could a broken transistor be the cause of that? Hmm I've just noticed that my replacement fuse (left) says T1L250V while the original (right) reads T1AL250V. Maybe that's the problem? Doesn't the "A" just stand for ampere? 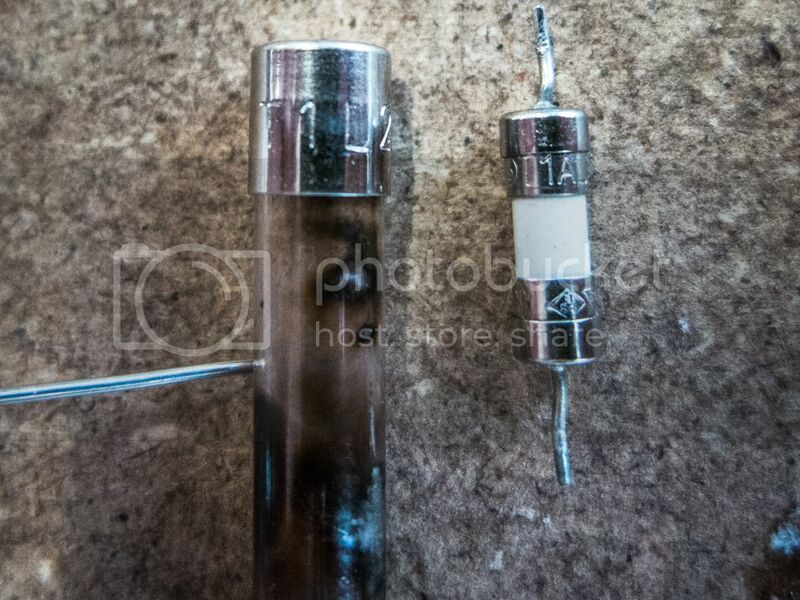 Well, the original fuse was a slow blow fuse, as long as the replacement is a 1A fuse there really is no difference based on the surge that the burning shows is happening. That transistor is definitely gone but I'd be willing to bet the problem goes much deeper than that.